How to Budget and Save More Money While Department Store Shopping! JCPenney recently announced a permanent markdown of at least 40 percent on all it's merchandise - a preemptive move to introduce a tiered strategy of ongoing promotions to offer consumers more value. Wouldn't it be nice if all department stores followed suit? Since it's likely they won't, now is a good time to brush up on your department store shopping skills with these seven tips to save at your favorite stores. Though your knee-jerk reaction to eager salespeople may be "I'm just looking," consider taking them up on their offer to serve you. Better yet, seek them out every time you shop the store. Building a rapport with a sales associate leads to the inside-track on upcoming sales and yields better customer service. Retailers are making it easy to stay informed about upcoming sales, thanks to e-mail alerts and Facebook updates. But how often have you left a coupon at home or failed to print it from your inbox? Mobile coupons to the rescue! Tools like the Coupon Sherpa mobile app give you access to mobile coupons to use in-store. Just pull up the offer and hand your smartphone to the cashier. Phew! While online shopping experiences a spike in sales on Mondays, department stores often mark down clothing on Thursdays in anticipation of weekend shoppers. Save your Saturday for lunch with the girls and a matinee, and turn Thursday afternoon into a savvy shopping day. For more tips on the best times of the week to shop, consult SmartMoney's guide. In an effort to de-clutter our cars, purses and file cabinets, receipts are often tossed immediately after a purchase. However, it's a good idea to hang onto receipts for up to 30 days should the item you bought receive a price reduction. Keeping tabs on an item you've already purchased can score you unexpected savings. If you're anything like me, you've already burned through those gifts cards you received over the holidays. Nothing compares to spending someone else's money on something you want, but using a discount gift cards comes pretty close. 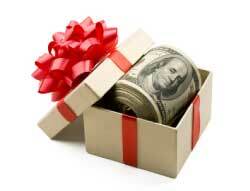 Save up to 35 percent instantly when you buy gift cards at less than face value from such sites as GiftCardGranny. This one's a no-brainer but with "80-percent off" promotions cluttering my inbox, I'd be remiss not to mention it. Shopping for winter clothing as retailers gear up for the spring and summer fashions will land you great deals on warm clothing to wear both now and after beach season is a distant memory. Most credit cards have a rewards program, so take a look at your account to determine if you can redeem points for gift cards. If you have the budget and are disciplined enough to pay off your credit card every month, you might consider charging everyday expenses on your card to increase those reward points and pay for "fun" stuff with earned points. If you're credit card doesn't earn points, check out this list from CreditCards.com to find ones that do. Andrea Woroch is a consumer and money-saving expert for Kinoli Inc., and has been featured among such top media outlets as Good Morning America, NBC's Today, MSNBC, New York Times, Kiplinger Personal Finance, CNNMoney and many more. 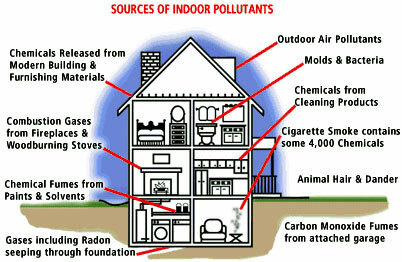 Keep Your Children Safe from Air Pollution and Toxic Chemicals By Following These Tips!